To fly, to explore and to meet new challenges. In collaboration with the HKU SPACE, we offer a series of theory courses from Sky Experience to PPL level. 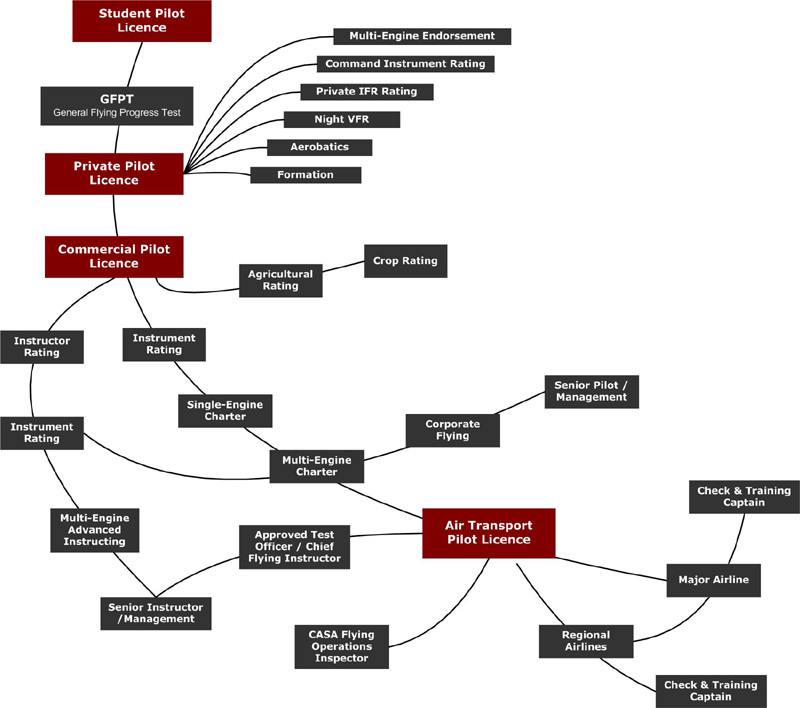 These are 35 hour modules which are connected to corresponding flight training practice in Australia and the U.K. The theory courses will cover all the essential elements in the theory of flying including: Air Law and Operational Procedures, Aircraft Technical Knowledge, Human Performance, Meteorology, Navigation, Radio-telephony, Performance and Planning. In general, students are expected to complete the courses one by one in specific order. After completing relevant theory courses, students may wish to proceed to their flying practice sessions in Australia or the U.K. We work closely with our overseas partners to provide comprehensive arrangement for flight training. This will include the provision of training aircraft, qualified instructors, insurance, medical certification, licence application, local transportation, accommodation and catering services, etc. 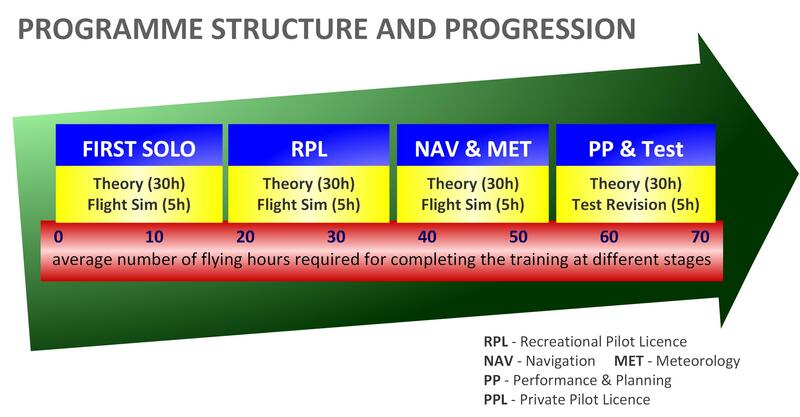 It is not necessary for students to commit to the whole PPL flight training programme, they may choose from the 10-hour Sky Experience module to the more demanding 40-hour RPL module according to their interests and aspirations. It consists of 3 theory courses to support the practical part of the Australian PPL programme up to the RPL level. Apart from the knowledge component, each course will include aircraft and airfield procedure practice and flight simulation sessions. We understand that not everyone will be so ambitious to complete the full PPL course; some may just want to get the experience of flying in the air with an instructor. Therefore, our courses are designed with flexibility and students may start (or terminate) their flight training at a certain stage after completing relevant courses. For example, a student may just want to complete his/her Sky Experience theory course and then go for a 10-hour flying course. It consists of 4 theory modules to support the practical part of the Australian PPL programme up to the PPL level. Apart from the knowledge component, each course will include aircraft and airfield procedure practice and flight simulation sessions. We understand that not everyone will be so ambitious to complete the full PPL course; some may just want to get the experience of flying in the air with an instructor. Therefore, our courses are designed with flexibility and students may start (or terminate) their flight training at a certain stage after completing relevant courses. For example, a student may just want to complete his/her First Solo theory course and then go for a 20-hour flying course in Australia. Our programme is designed and developed in accordance with the contents and requirement as stipulated in the Private Pilot Licence syllabus published by the Civil Aviation and Safety Authority (CASA) of the Australian government. We designed the whole PPL programme into a series of courses to suit the needs of different students. Whether you are learning to fly for fun or you are serious about getting a Private Pilot licence, we are here to help you every step of the way in realising your dream.